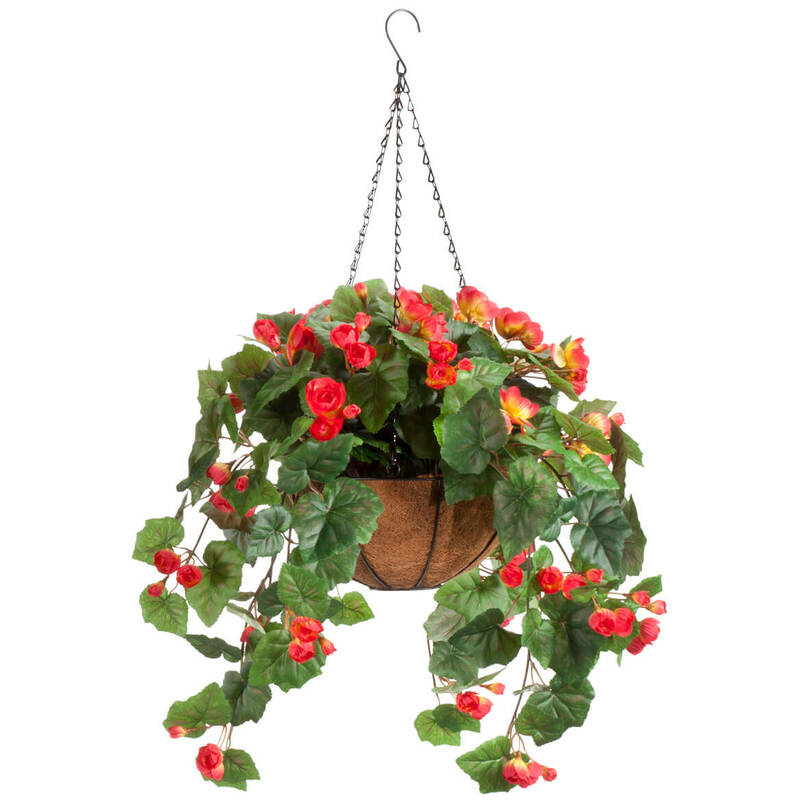 Add 2 Hanging Baskets to Cart, Get $5 Off each! Purchased to hang on patio. Perfect. So full and colorful. 100% satisfied! I would buy another one. 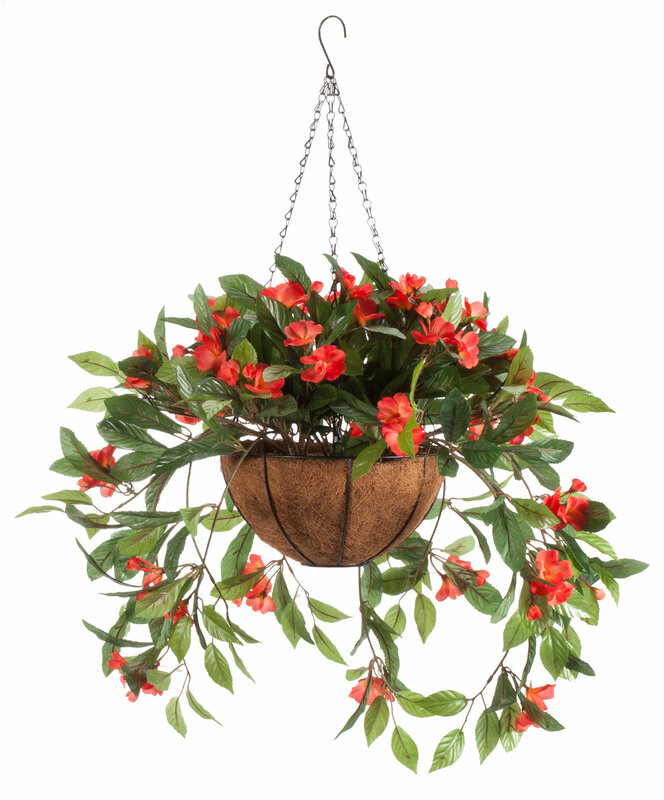 It is a hanging basket. I have it hanging on a hook. It looks so pretty. 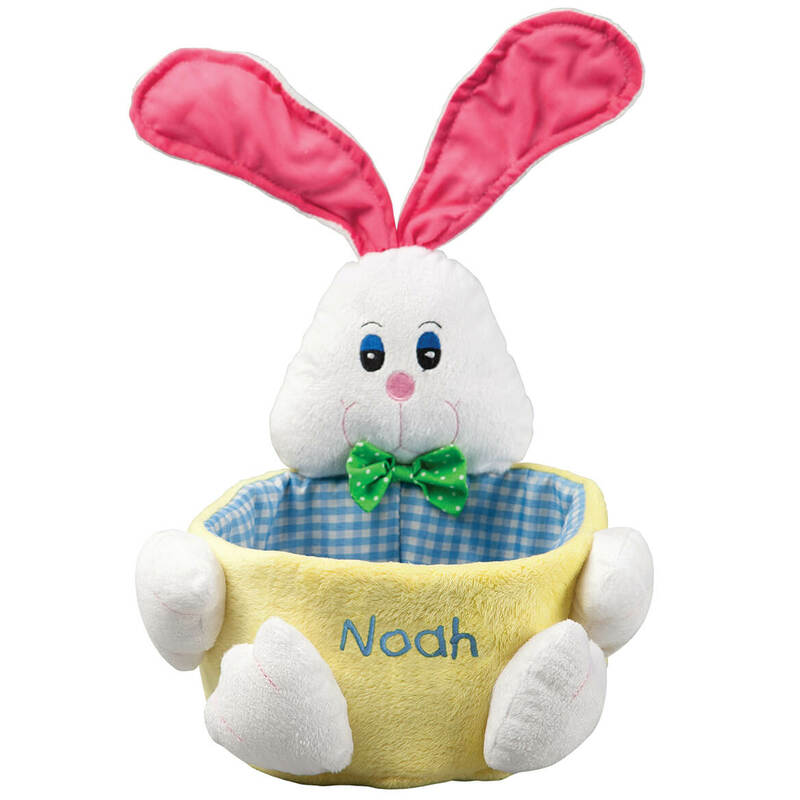 I ordered this basket in the color pink. Online the flowers looked pink. When I received it, the flowers were actually pink and yellow. Returned the hanging basket for a refund. neighbor has one and is beautiful. I can't grow anything and keep it alive. 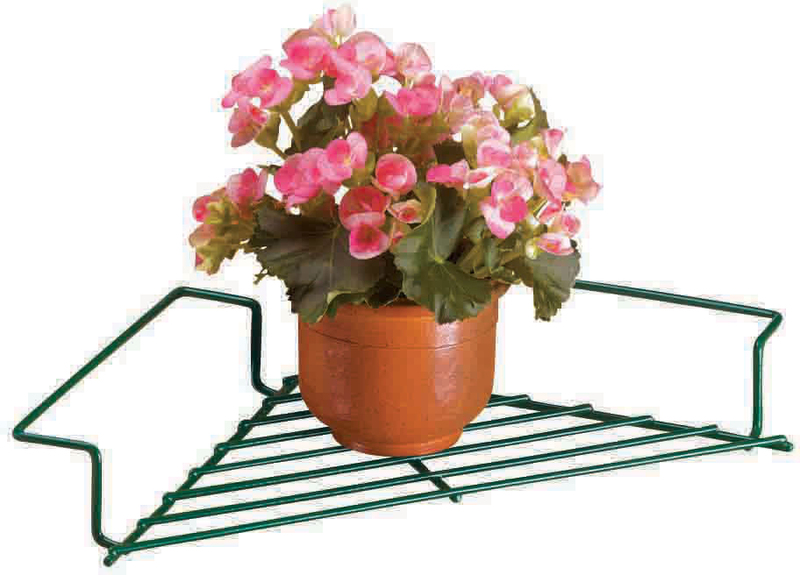 I AM NOW 85 YRS OLD AND CAN NO LONGER ASSEMBLE MY HANGING FLOWER BASKETS. i AM HOPING THESE BASKETS WILL REPLACE MY PAST EFFORTS. I'm making a flower arrangement on my husbands tractor. Just wanted an easy flower to enjoy this summer. It's perfect for my backyard! Love it! It looks great & I don't have to worry about watering it! I wanted a basket that was already assembled, and that was large and full. They will provide the pop of color my porch needs. 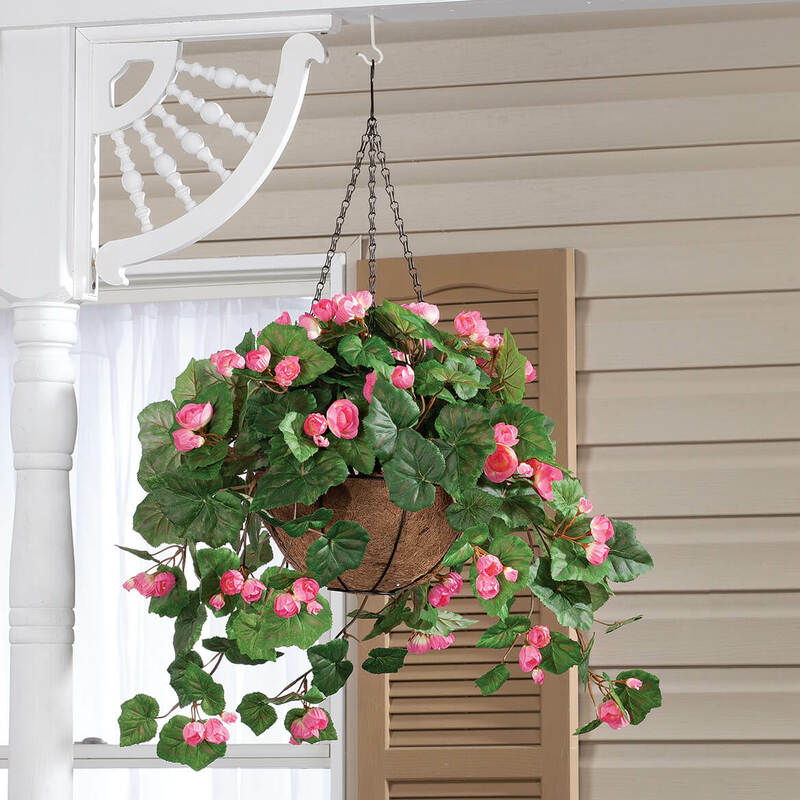 I like hanging baskets but don;t like having to water them every day in the heat. BEST ANSWER: Thank you for your question. These may change color if in the sun or inclement weather for long periods. We hope this information will be of help to you. 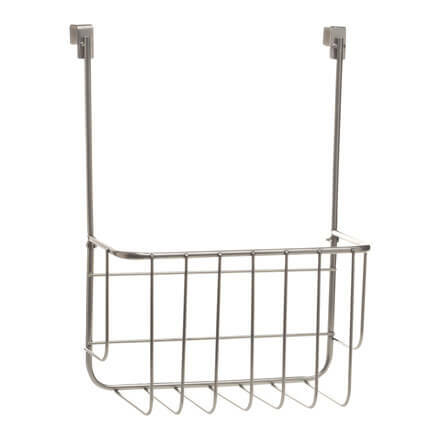 I ordered this through the catalog and the offer for the free hook didn't apply. 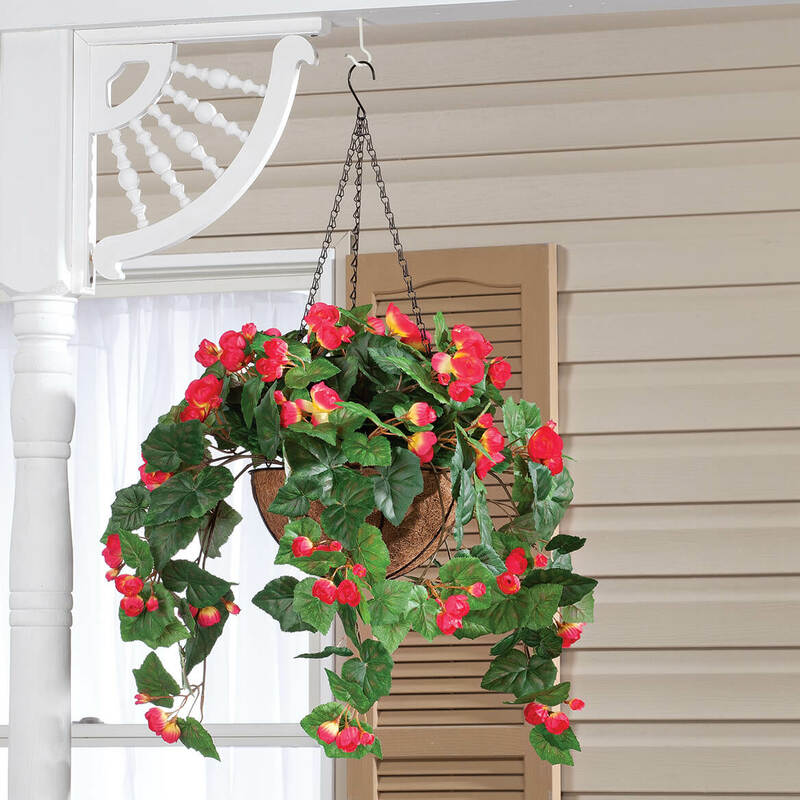 Does the original basket and flowers come with a hanging hook? BEST ANSWER: Thank you for your question. I have just tested the free gift offer and it is working. I suggest you refresh your screen and try again; or, take the hanging basket out and put it back in the cart again. We hope this information will be of help to you. 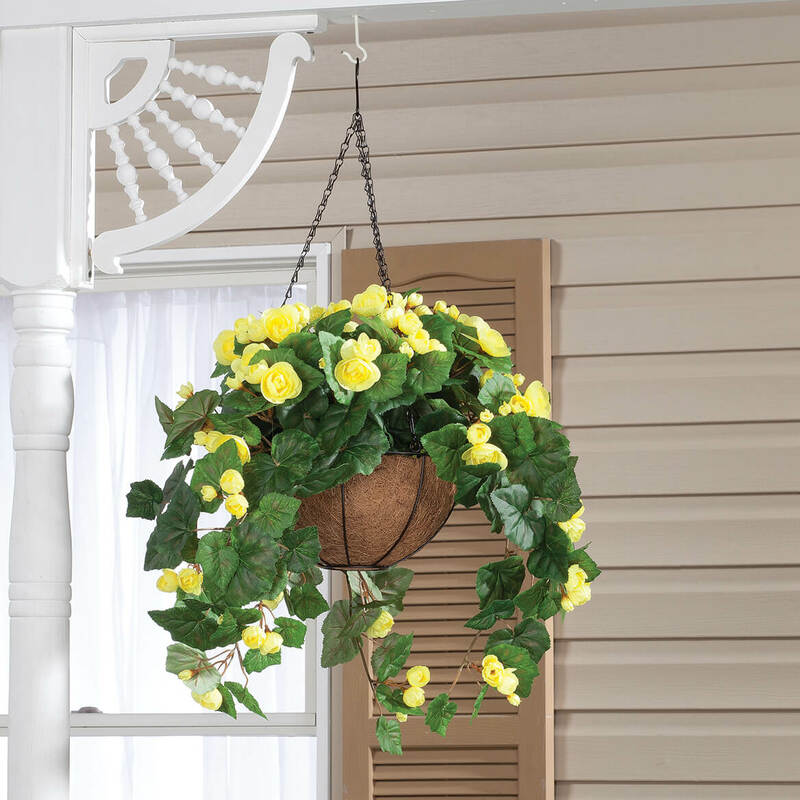 I,m only interested in the yellow begonia hanging basket. Do you only have pink? BEST ANSWER: Thank you for your question. All that is available is pink. Unfortunately, this item has sold out for the season We suggest checking back regarding this item next Spring. We hope this information will be of help to you. Detailed cemetery vases make perfect additions to memeorials year-round. 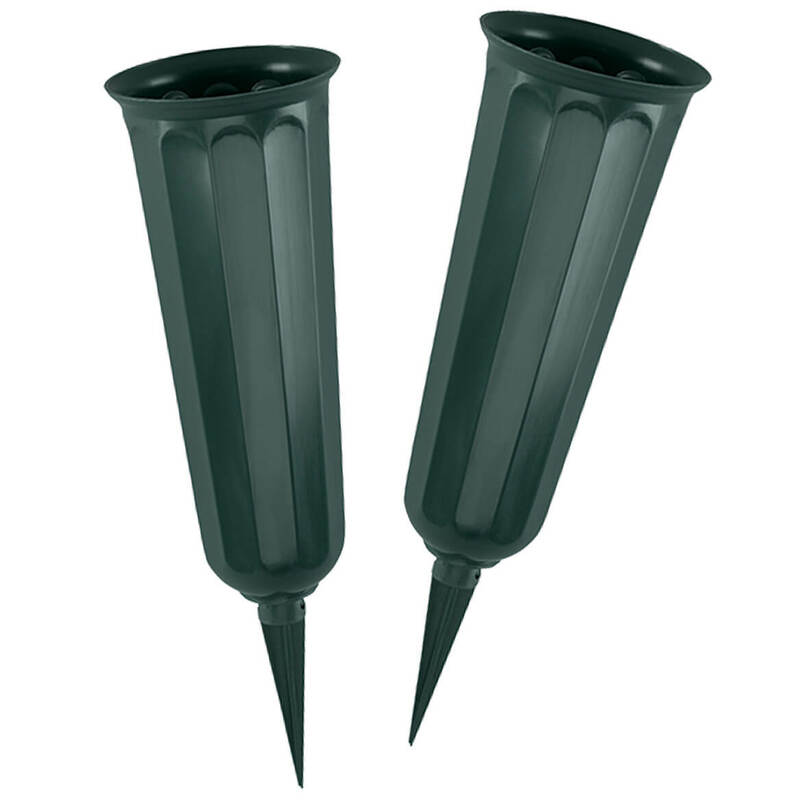 Weather-resistant with 3" high ground stakes included to lock in place for easy placement and stability. Set of 2; each 3" dia. x 7" high. Durable plastic.